A gold lurex thread in the sinamay gives this headpiece a lustrous sheen. 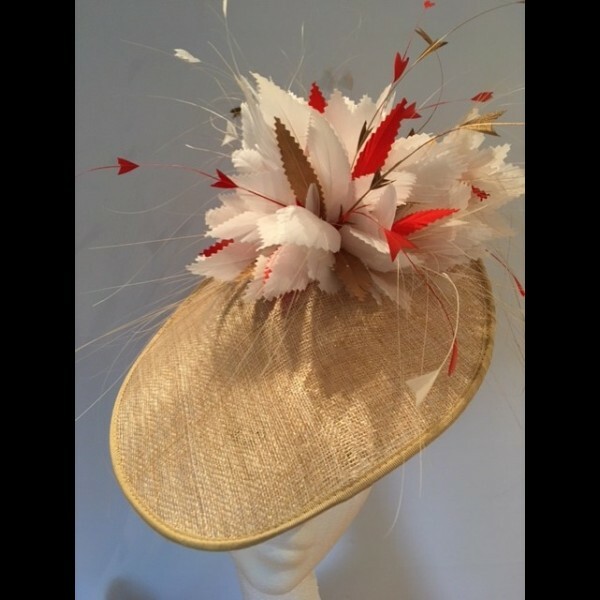 Topped with ivory feathers with accents of pure gold and deep coral. 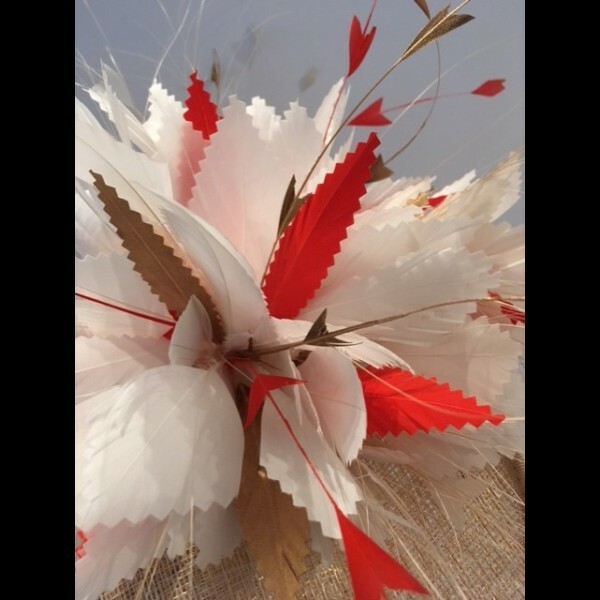 Gorgeous & Glorious Natural & Gold Headpiece with ivory feathers , accents of gold & deep coral. 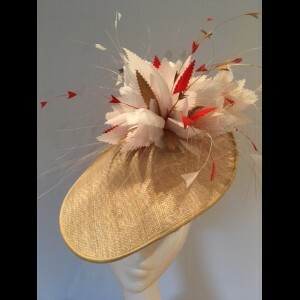 A medium sized sinamay headpiece with an uplift to the back. Natural coloured sinamy has been blended with a gold lurex thread giving this headpiece a lustrous sheen. Mounted on a slim gold coloured hairband with a small comb. 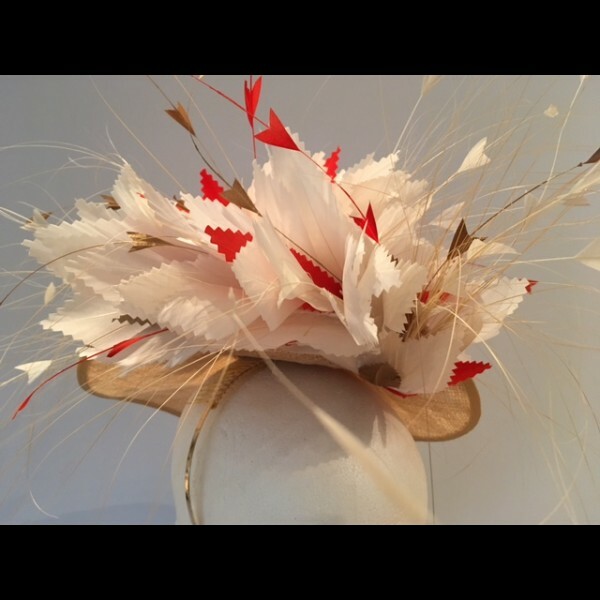 A cloud of ivory feathers to the front and back of the headpiece, finished with accents of pure gold and deep coral.